Pulled pork is delicious, and there’s nothing wrong with just eating it straight off the plate (or straight out of the oven!). But there’s a reason why pulled pork sandwiches are so popular: sometimes, it’s also nice to have your pork with a starchy, slightly sweet delivery vehicle to contrast with the meat. And who doesn’t love barbecue sauce? Enter the sweet potato. 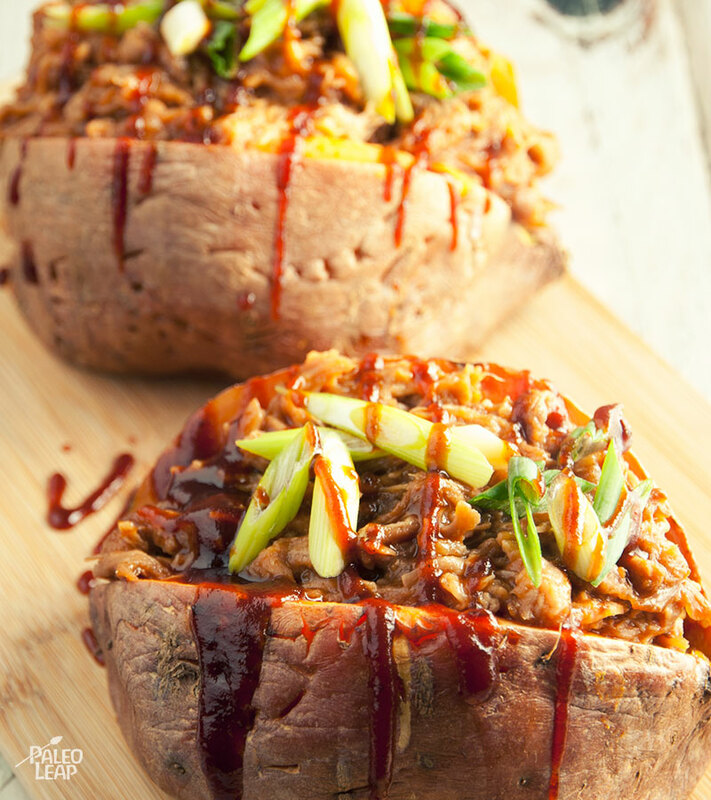 Oven-baked sweet potatoes deliver everything you wanted from a bun, but without all the junk you didn’t need. They’re the perfect base to top with a pile of meat and an extra drizzle of sauce, whether it’s game day or just time for a tasty lunch. Fried onions would be a tasty side for these (especially if you have some tasty bacon fat to fry them in). 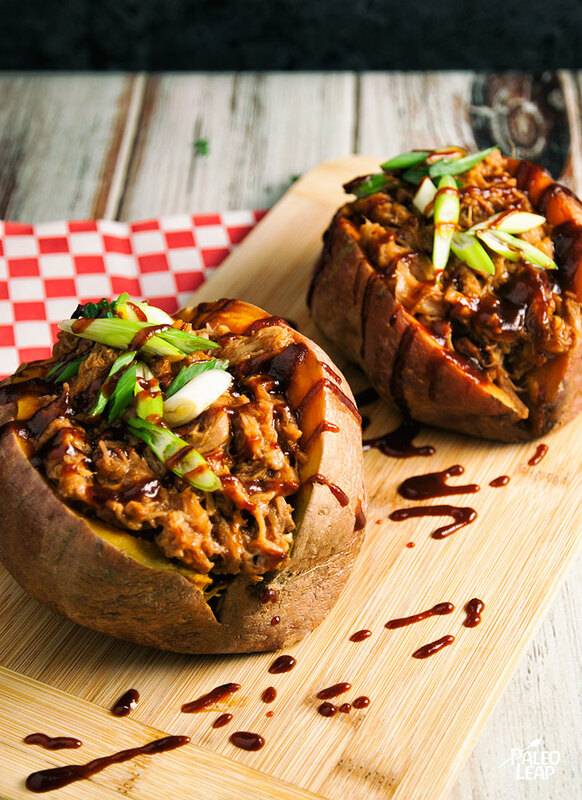 And of course, you don’t actually have to make the pulled pork from scratch: if you have some left over from another recipe, you can just bake the potatoes and bring on the BBQ sauce. That makes it a fast and easy weeknight dinner and a great way to give leftovers a new life.